There are a couple of news pieces that we can’t escape repeating. Star Citizen’s made x amount of money, for instance. Or, World of Warcraft’s lost x subscribers. The one I’m happiest to write about it ‘Project CARS screenshots continue to be awesome’. Every time I write about this game I’m reminded by how damn good it looks. I’ve never played it, and for years it’s seemed like it’s always on the cusp of release, but these are apparently all in game screens taken by players. 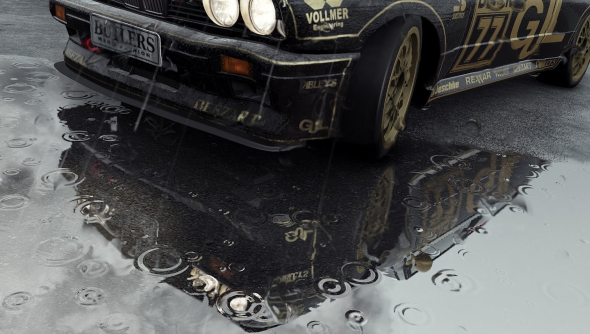 “It’s time to show off some stunning new Project CARS screenshots as our busy development team has made Project CARS’ weather & time of day engine even more awesome,” write Slightly Mad. “Newly-added features to the fully-dynamic weather engine include rain droplets, riplets and godrays, creating stunningly-beautiful weather conditions.” Apparently, as the game moves from day to night, sunny to wet and windy, the conditions of the track change on the fly, causing racers to spin out unless they’re adapting to the change. You’ll need to change your pit strategy, too, as the wrong tires will react badly to the conditions. They seem to be missing winter effects but hopefully they’re coming. Nothing quite like taking a supercar round a frozen track. You can see more screens of the Project CARS over on the blog post detailing the weather effects. If this has got you itching to get in the driver’s seat Rob’s made a list a of the best racing games out there.